We are delighted to announce that you can now use your SkillsFuture credit for Spanish group classes at Spanish Studio! This means that you can apply to learn Spanish with us and claim all, or part of your course fees back using your SkillsFuture Credit*. Who is Eligible for SkillsFuture Credit? All Singaporeans, aged 25 years and above are eligible. You’ll receive an opening credit of S$500, followed by periodic top-ups. You can choose to use your credit immediately, or accumulate it if you wish. Credit does not expire, but can only be used on approved courses. Did you know that Spanish is spoken by approximately 450 million people worldwide and is highly valued in the international job market?! It’s an official language of the UN, the European Union, the World Trade Organization and FIFA, to name but a few – and it serves as a great basis to help you learn other languages, such as Italian, French and Portuguese! Being able to speak Spanish will open up a whole new world of culture to you. You’ll be able to watch amazing Spanish films in their original language and explore classic Spanish novels. Travel will also become a breeze, as you’ll be able to explore a wide number of Spanish speaking countries such as Cuba, Mexico, Argentina – and of course Spain, without the language barrier! Finally, and perhaps most importantly, Spanish is also fun to learn! By joining us at Spanish Studio, you’ll make friends with like-minded students from around the world and have a great time in our lively, fun-filled lessons! Choose which Spanish course you would like to join. You can use your SkillsFuture Credit for beginner and intermediate level group class only. You need to register online and make the deposit payment by bank transfer, paypal, online credit, card or cheque. The deposit amount is equivalent to the course fees and the books. Visit the SkillsFuture website and apply for your credit (you need to do it before the first class): SkillsFuture website . Once your application is approved please send us via email your claim id. Step 3: Start your Spanish course! After the first class, SkillsFuture will send the course payment directly to us. As soon as we will received your payment we will refund you. 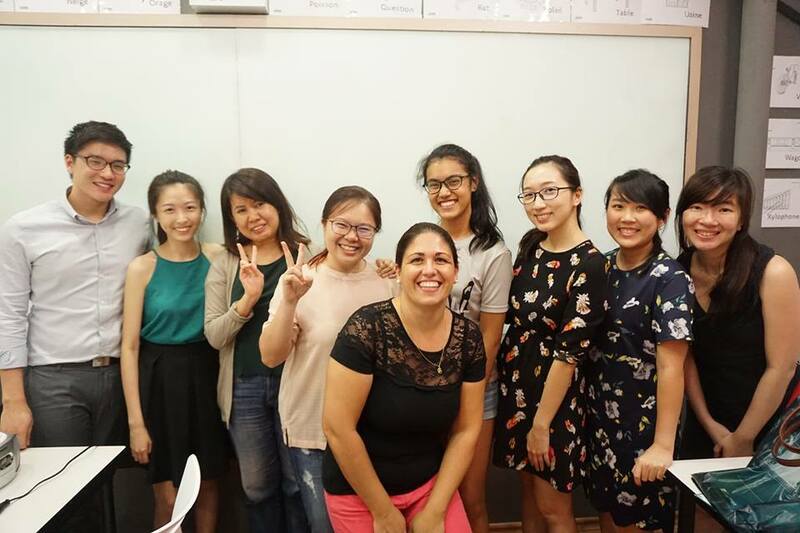 Launched in 2015, Spanish Studio has quickly established itself as one of the leading providers of Spanish courses in Singapore. All our teachers are native Spanish speakers, who are qualified to teach Spanish as a foreign language, and we offer both group and private courses, from beginner level to advanced. As we are strong believers that learning a new language should be a fun experience, we have designed all our courses so that they are taught in lively and interactive ways. By joining us, you’ll learn through a wide range of activities, including role plays, games, group activities and more. So we guarantee you’ll love learning Spanish with us! We are also proud to say that Spanish Studio is part of French Language Studio Pte Ltd, which has obtained approval from the Ministry of Education for its high quality of teaching. *Singaporeans, aged 25 + only. Please ensure that you meet the requirements for SkillsFuture Credit before booking a course with us. Once we have received your payment, course fees are non-refundable. Please note, it is the students full responsibility to submit their claim to SkillsFuture on time and in full. French Language Studio Pte Ltd, accepts no responsibility or liability, if a claim is subsequently not approved by SkillsFuture. Course fees, including the cost of any course materials, will not be refunded by French Studio. If you require any documents to support your claim, please send your request in writing to info@spanishstudio.sg. We will send the documents within 7 working days. 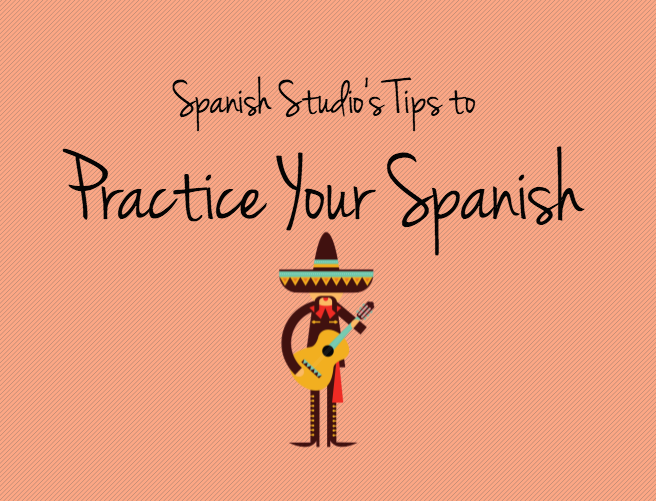 Spanish Studio’s Tips To Practice Your Spanish We’re Thrilled to Announce the Launch of English Studio!